This newsletter was originally published on July 25, 2108. Every year we try to choose a speaker who captures our attention with respect to the organization’s primary mission of innovation and connects to a leading theme in the advanced energy industry. This year’s keynote – Adrian Tuck, CEO of Tendril – is no exception. Last year we heard from Abby Hopper-Ross, CEO of SEIA, about the huge changes in the solar industry due to declining technical costs. Two years ago, our keynote was John Viera, Global Director of Sustainability at Ford, who spoke about how EVs are the platform for the next phase of human mobility. 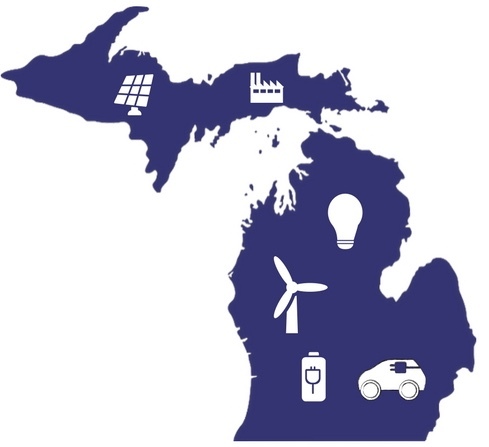 This year, the Michigan EIBC theme has been how big data underpins innovation in the electricity industry and mobility, as well the role technology plays in supporting customer engagement. Michigan EIBC is pleased to announce that Adrian Tuck, CEO of Tendril, will be the keynote speaker of the 6thAnnual Michigan Energy Innovators Gala on November 14, 2018. Tuck brings his deep entrepreneurial expertise, including key role at ZigBee, to share with Michigan EIBC members, policy makers, and industry leaders. In his current role as CEO of Tendril, Tuck is helping redefine the energy industry by leveraging technology to help customers save money through energy efficiency and demand management programs. 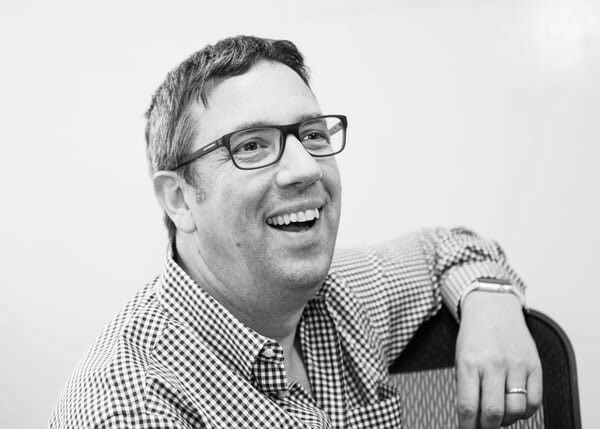 Prior to spending the past 20 years building technology startups, Adrian spent time in the British Army, graduating from the Royal Military Academy Sandhurst. The Gala will recognize individuals and businesses who have worked to build Michigan’s advanced energy sector and will be held at the Kellogg Hotel and Conference Center in East Lansing, Michigan. Awards will be handed out for Business of the Year, Emerging Business of the Year, Employer of the Year, and Public Official of the Year. Register today for Michigan EIBC’s 6th Annual Michigan Energy Innovators Gala on November 14, 2018. Today, Michigan EIBC member company Lean & Green Michigan, announced two advanced energy projects that will utilize PACE financing. The two projects combined for more than $8M in financing in one week, bringing the total PACE financing deployed in Michigan for 2018 to $14.5M and the total Michigan market to greater than $20M. The projects announced today are in the two most active Michigan PACE districts: Wayne County and Eaton County. In Wayne County, the historic Robert’s Riverwalk Hotel will begin an energy efficiency renovation. In Eaton County, the Liquid Web data center will complete energy efficiency upgrades as well. Liquid Web is the first data center in the U.S. to take advantage of PACE financing. Renewable Properties specializes in developing and investing in small-scale utility solar energy projects throughout the United States. Led by experienced renewable energy professionals, we work closely with communities, developers, landowners, utilities and financial institutions looking to invest in utility solar energy systems. Our team is committed to being an easy to work with partner and focused on maximizing the local benefits inherent to solar energy projects. Monroe City plans to challenge DTE Energy’s attempt to devalue a coal plant, which could lead to less tax revenue. A report prepared by Michigan Tech was released this week analyzing the risk of an oil spill from Line 5 in the Straits of Mackinac. Flushing township finalizes regulations for residential and commercial solar projects. Acme Township provides support for commercial solar through local rules. Detroit Zoo is among the first zoos in North America to build an anaerobic digester to manage animal and food waste. University of Michigan students finished second in American Solar Challenge, in which students build & race solar-powered cars. Major concert venues in Grand Rapids are taking steps toward sustainable energy practices. The Detroit Lions are embracing renewable energy with a new solar array at their practice field, installed by Michigan EIBC member company Power Home Solar. Battery-electric buses have noticeable environmental benefits over diesel and natural gas buses, even in the Midwest with relatively more coal generation, according to a new study from the Union of Concerned Scientists. A report says electricity generation in the middle of the country could be carbon-free by 2050 with existing technology. Texas’ electricity grid has met the challenge so far, producing more power than it ever has last week. Russian hackers have breached U.S. utility control rooms where they could cause blackouts, federal officials say. High electricity prices in Michigan’s neighbor are driving energy storage deployment for commercial and industrial customers. Acting U.S. EPA Administrator Andrew Wheeler plans to continue overhauling U.S. biofuel policy. A new FERC appointment is likely to be delayed due to politics. A new $2B loan guarantee program from DOE will support renewable energy on tribal lands. The program may provide particular support for solar-plus-storage projects. Rural cooperatives are rapidly adding solar according to a report by the National Rural Electric Cooperative Association (NRECA). According to ACEEE, rural households pay 40% more for energy than urban counterparts. A once shuttered northern Minnesota solar panel manufacturing plant is restarting production with the help of a state loan package. Atlanta works toward an ambitious goal of running on 100 percent renewable energy by 2035. As the first U.S. city to run entirely on renewable electricity, Burlington, Vermont, is inspiring other communities to follow suit. The Honolulu airport installs more than 4,000 solar panels to help meet the state’s goal of 100 percent renewable power by 2045. 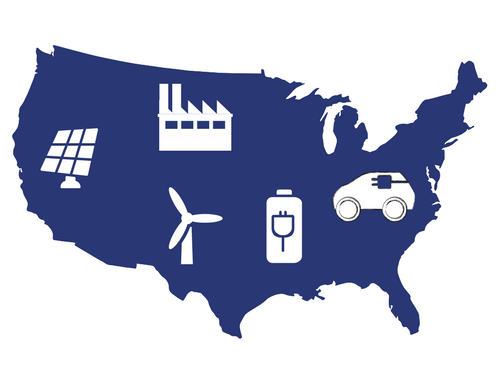 Know an emerging Midwest leader working to accelerate America’s transition to a clean energy economy? Nominate them for the 2018 Midwest Energy News ‘40 Under 40 awards program. Nominations close Friday, August 3. ARPA-E Announces Funding Opportunity to Support Upcoming Grid Optimization (GO) Competition. Full applications due September 7.